SkookumScript - Superpowered game development. The programming language and tool suite that transforms video game production. SkookumScript is the language that is made for games. With key game concepts such as concurrency built in, you can create sophisticated gameplay with surprisingly few lines of code. Now everyone on the team can code. Simple yet powerful, SkookumScript is a revelation to experienced coders, yet readily accessible to those with no coding experience. The result of decades of problem-solving in the video game industry, SkookumScript is ideal for both major studios and small indie teams. SkookumScript is lovingly crafted by veteran game developers. We melt our brains so you don’t have to! Recognized for our dedication, Epic Games awarded SkookumScript a coveted Unreal Development Grant! Agog Labs CEO and Chief Mad Computer Scientist Conan Reis interviewed by Google Developers at Founder World. 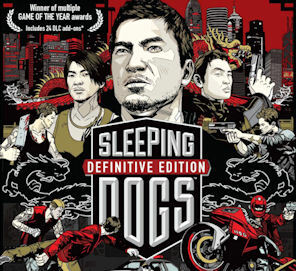 United Front Games used SkookumScript to develop Square Enix’s open-world hits Sleeping Dogs and Sleeping Dogs: Definitive Edition. More SkookumScript games are on the way! SkookumScipt is also being used to develop products outside of the games industry, including architectural and medical imaging technologies using VR and augmented reality. SkookumScript is, without question, the most powerful and efficient scripting language I’ve used for creating quests in games. Using SkookumScript, I could finish the scripting component of a mission in as little as a quarter of the time as any other project that used Lua, Bioware’s Neverwinter Script or any visual language like Kismet [aka “Blueprints” in Unreal Engine 4]. See more testimonials. Learn more about SkookumScript. Behold the SkookumIDE’s new look!